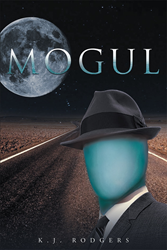 Recent release “Mogul,” from Page Publishing authors K.J. Rodgers, is a compelling story set in a futuristic society approaching the technological singularity. It is the first in a trilogy that follows altruistic heroine, Regan Salvatore, on her journey of courage, love, and rebellion. Kimberly and John Rodgers, a husband-wife writing team, parents, teachers, devoted writers and authors, have completed their new book, “Mogul”: a coming-of-age book that describes what happens when Regan is forced to question everything she knows to be true. Published by New York City-based Page Publishing, K.J. Rodgers’s cleverly-crafted world and fast-paced story keeps readers on the edge of their seats. In the First Republic of Equality (FRE), the Consul controls every aspect of the citizens' lives. What they know. How they eat. Where they go. Every regulation serves the common good. Regan Salvatore has spent her sixteen years trying to be good to others, follow the rules, make her family proud. She's never thought twice about the way things are. For the last year, Regan’s been busy falling for her boyfriend, Grant Halden. He's a computer prodigy who has been away all summer working on a secret Consul project with his father. On the first day of school, Regan meets a new student from the farmlands. Beau Conway immediately intrigues her. Every time she talks to Beau, Regan finds herself looking at the world in a different light. He teaches her about forbidden history, wide open spaces, and making her own choices. Regan starts to wonder if humanity deserves something more. Regan, her family, and friends notice the beginnings of societal decay. Little do they know, the country is on the verge of collapse. The Consul develops a plan to save it: Mogul. Researchers boast that this breakthrough in technology and medicine can enhance any person's aptitudes and ensure optimal health. Once they have Mogul installed in them, people start acting... strange. Upon noticing her loved ones' sudden aberrant behavior, Regan senses that something almighty is coming. Grant assures her that she can trust the Consul. Yet Regan is compelled to do what she believes is right. With forgotten ideas permeating her mind, Regan quests to find the truth- but is it already too late? Readers who wish to experience this prolific work can purchase “Mogul” at bookstores everywhere, or online at the Apple iTunes store, Amazon, Google Play or Barnes and Noble. To learn more about the Mogul trilogy and authors, go to http://www.kjrodgers.com.